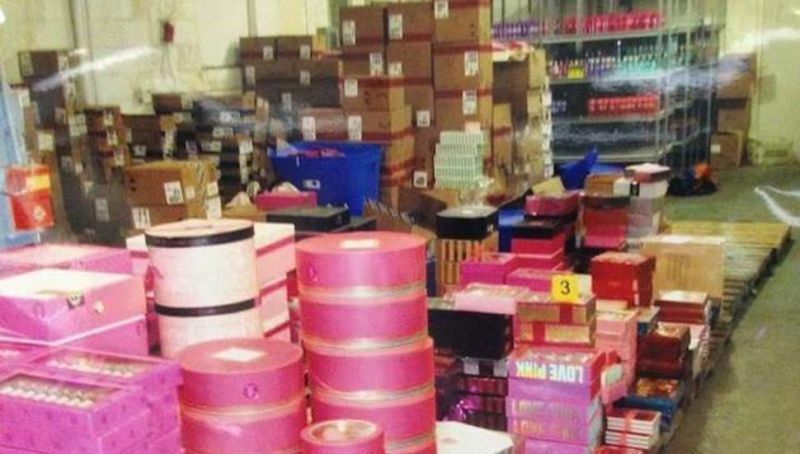 Detroit police looking for a meth lab instead stumbled upon a well-run, multi-million dollar shoplifting ring housed in a large warehouse near 8 Mile. The investigation began when police noticed a group of women stealing over-the-counter medication from local pharmacies and thought they might be producing meth. But it turned out the three women were part of a sophisticated shoplifting ring. The women would steal items from stores like CVS, Walgreens and Victoria's Secret, pocketing high-value items into specially altered garments and bring them to a large warehouse where two men would pay them $2,500 for their haul. Local police say they found millions of dollars worth of merchandise in the warehouse. Ferndale Police Chief Tim Collins, whose department is part of the narcotics team, said he was stunned when he saw what was in the warehouse. "It was clean and tidy and well-run," he said. The stolen items were sorted and stacked on shelves. The warehouse even included a second level where merchandise was sold and a lift-truck that was used to move things around. Police estimate the group stole around $9,000 to $15,000 worth of goods a day, reselling the items on websites like eBay and Amazon. According to a police spokesperson, the group purchased the warehouse nine months ago for $200,000 in cash.